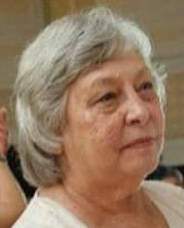 Frankie L. Hudgens Arrington, 82, of Clarksville, TN, passed away on Friday, March 29, 2019, at St. Thomas West in Nashville, TN. Frankie was born on November 3, 1936, in Nashville, TN to the late John F. Hudgens and Hazel L. Wilson Hudgens. She was also preceded in death by her loving husband, Malcolm B. Arrington. Celebration of Life Service will be held on Thursday, April 4, 2019, at 12:00 p.m. at the Neal-Tarpley-Parchman Chapel with Ricky Hudgens officiating. Burial will be at Kentucky Veterans Cemetery West in Hopkinsville, KY. Visitation will be held on Wednesday, April 3, 2019, from 2:00-7:00 p.m. and Thursday, April 4, 2019, from 9:00 a.m. until the hour of service at the funeral home. Frankie is survived by two sons, Stephen (Judy) Arrington and David Arrington of Clarksville, TN; two daughters, Janice (Keith) Smith of Brandenburg, KY and Melissa Arrington of Clarksville, TN; brother, Ricky Hudgens of Ashland City, TN; nine grandchildren; and sixteen great grandchildren. Pallbearers will be Nathan Hudgens, Matthew Arrington, Josh Arrington, Tyler Arrington, Zachary Arrington, and Travis Martin. Honorary Pallbearers will be Bob Hornsby and Keith Smith.